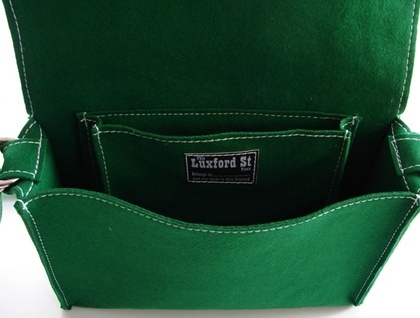 Reclaimed Pool Table felt has been thoroughly laundered and 2 layers are fused together to create this handy sized messenger bag. 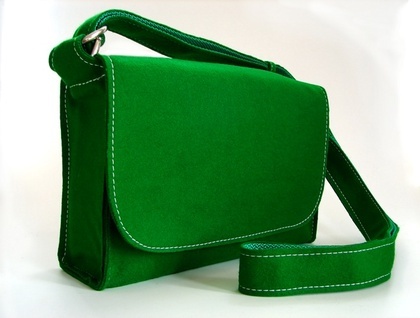 This bag is the perfect size, and is not so big that you are weighed down by carrying around too much junk! 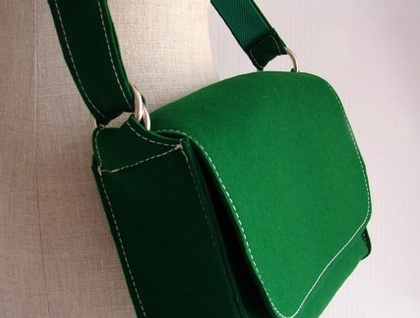 The shoulder strap length is adjustable, so change it to your preference, sewn with a strong green webbing on the inside to stop roll and stretching. 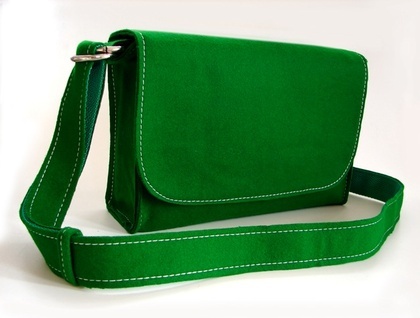 The inside pocket is big enough for keys, phone and various other small bag dwellers that you may wish to carry around with you. Sewn with thick heavy duty polyester thread.